Flip a coin. If heads throw your banana at the opponent, and it will fly back to you. If tails, it will fall on the ground and do no damage, and you will cry. 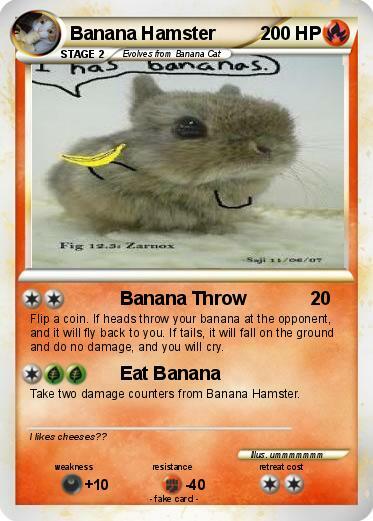 Take two damage counters from Banana Hamster. Comments : I likes cheeses? ?